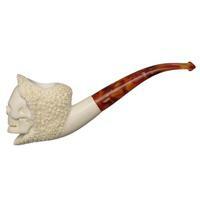 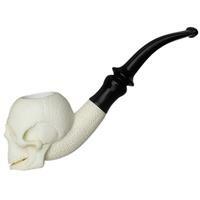 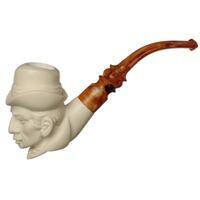 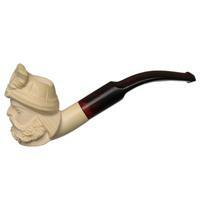 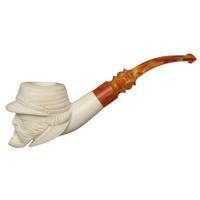 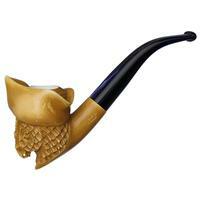 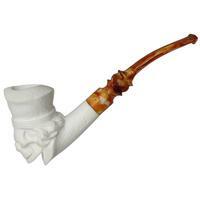 Based solely on the pictures, it would be natural to assume this meerschaum was as large as other figural-carved pipes. 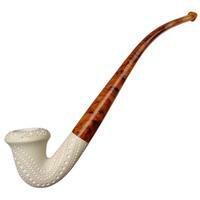 However, this is actually quite the petite meer. 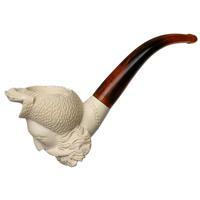 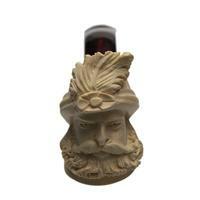 It makes the intricately carved sultan at its fore all the more impressive, replete with a detailed beard and ornate, feathered turban. Unsmoked.